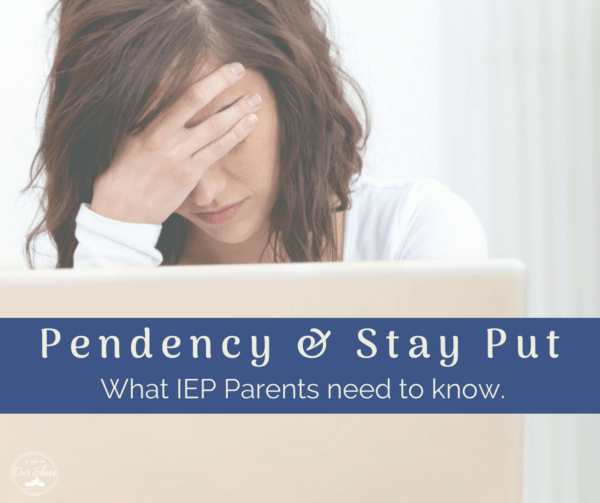 What IEP parents need to know about Pendency/Stay Put. 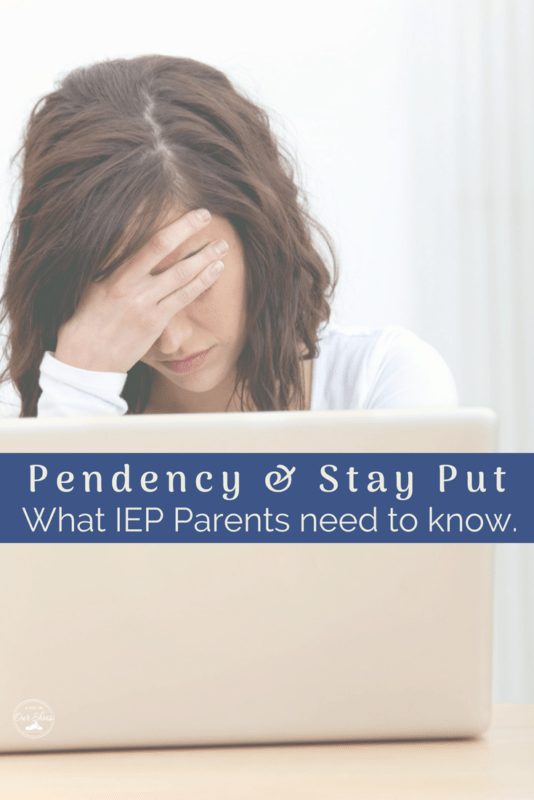 Home » IEP Advice for Parents » What IEP parents need to know about Pendency/Stay Put. I find that this is one of the most misunderstood concepts of the IEP process. So let’s tackle it. That way, parents can learn how to use it as necessary. But pendency does not always work in your favor. 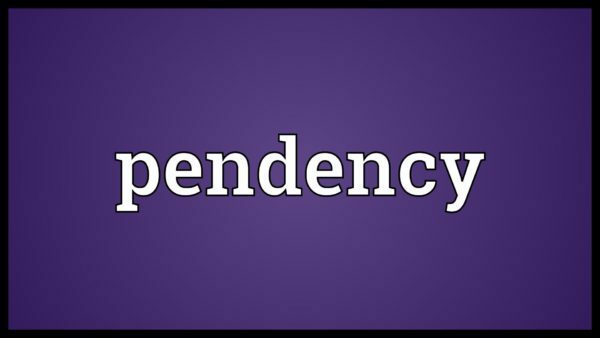 What is pendency in the IEP? 1. the state or time of being pending, undecided, or undetermined, as of a lawsuit awaiting settlement. In this case, not a lawsuit but a Due Process Hearing. Where is Pendency in IDEA? Guess what?!? They are in Procedural Safeguards! Yes, really. See this is why NOT reading your Procedural Safeguards makes my Top 10 list of Parent Mistakes. Ugh, but I do not want to read 10 pages of legalese….what does it mean? That’s it. What is the last IEP that you received, that you signed off on as far as a PWN? That is the IEP that you use until the disagreement is worked out. If your child is receiving services and the district is trying to reduce/remove them, the child will continue to receive those services until the dispute is worked out. So, that can be a good thing. However, let’s say you want your child’s placement moved, or you want them to get a 1:1, or more services. Nope. The child will not receive any of those things until the dispute is worked out. This can be particularly stressful if the child is in a hostile or bullying situation and the team does not agree to change/move. Is Stay Put just for Due Process? Not necessarily. It varies by state. Here in PA, you can use it for mediation as of 2008. However, a new IEP should not take effect until the team agrees, and you can read below how you disagree. I’m not a lawyer nor do I play one on the Internet. But services or anything else should not be removed from an IEP until the new IEP starts, and it doesn’t start until all parties agree. If your child is still missing services or instruction during this time, keep a log of it and see a lawyer about seeking comp ed. Everything in the IEP-Pendency/Stay Put. This is where parents don’t always see the big picture. Pendency includes everything in the IEP. Including the diagnosis/classification check box. Yes! Think about this! How many parents do I hear from who are in districts that are trying to move their kid from Autism to Emotionally Disturbed? No! If you don’t want it, don’t do it. Fight it. They cannot change ANY part of the IEP except as a team decision. “Great, easier said than done,” you say. How to use pendency/stay put in the IEP process. You can do this, really you can. First, make sure that you are participating in ALL 5 parts of the IEP process that are particularly conducive to parent input. 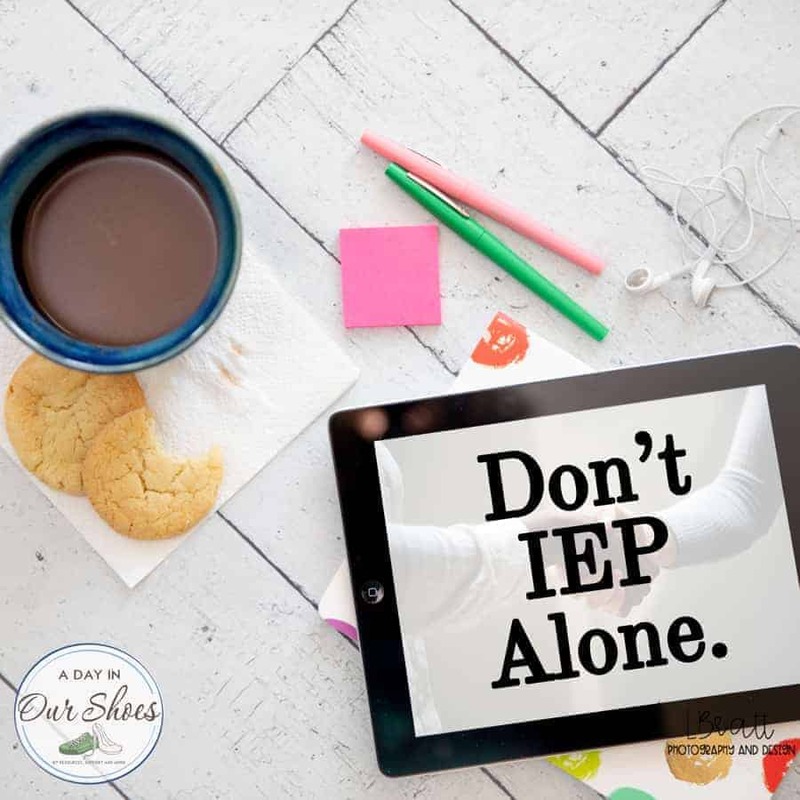 If you have not done that but you have recently had an IEP meeting, you must at least do your after IEP meeting letter. This will clarify what you are talking about as far as changes to the IEP. Learn PWN and USE IT! I cannot say this enough. Learn what a PWN is and how to use it. Then, after the meeting, if they say “No 1:1 aide” you say, “great, thanks, if you could just put that and the reasons you are denying the 1:1 on a PWN and send it to me.” By law, they have to do this. If they refuse a PWN, consider a state complaint. Once you receive your PWN, you have your choices to make–mediation, DP, etc. Proceed accordingly, and once you have done so, you have exercised your Procedural Safeguards.